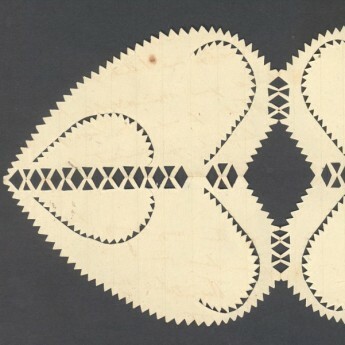 This little group of three small cut paper hearts was discovered within a paper wrapping in a tin trunk of old papers and ephemera. They were clearly well treasured. 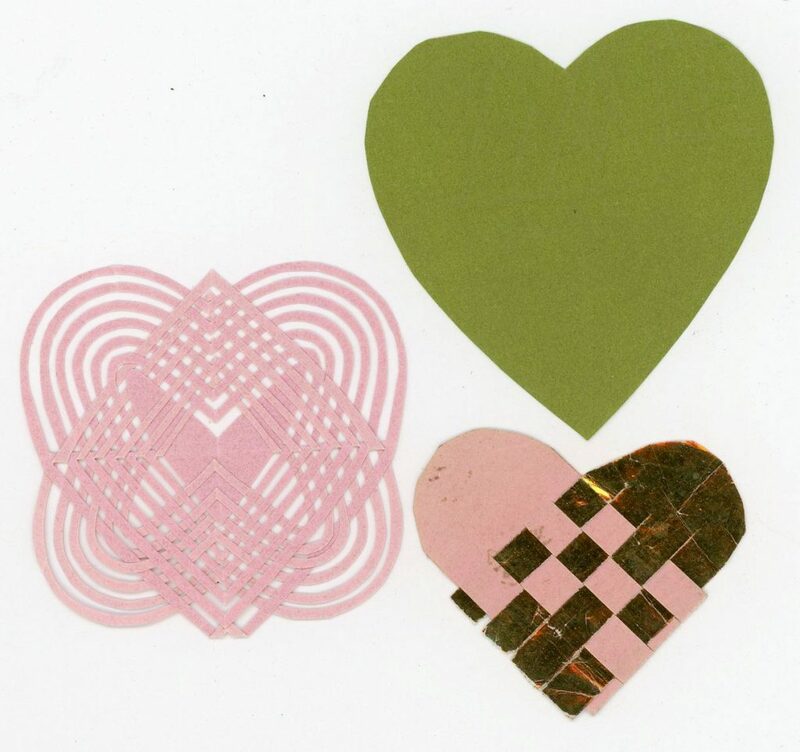 They comprise a simple heart shape cut from green paper, an intricate cut paper shape with a central heart motif and a pink and gold lattice effect heart. 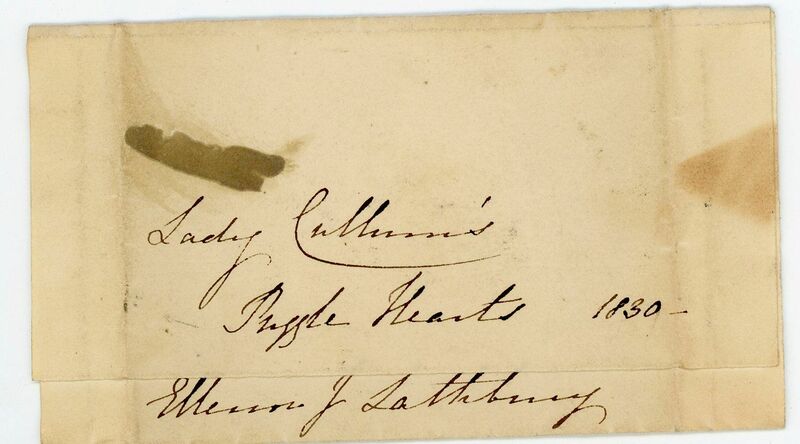 An inscription on the wrapping reads – “Lady Catherine’s Puzzle Hearts 1830 / Ellenor J. Lathbury”. 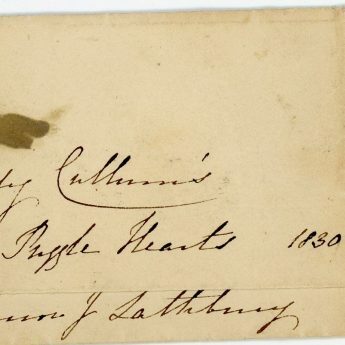 Ellenor Jane Lathbury was born in 1814 and was the daughter of Peter Lathbury and his wife Mary Anne (née Hill) of Great Livermere in Suffolk.